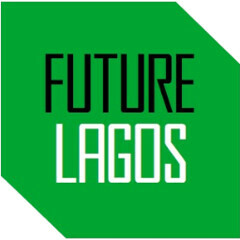 Today, Future Cape Town welcomes Future Johannesburg, Future Lagos and Future London to our family, and the formation of the Our Future Cities Network. The network aims to foster inter-city citizen engagement and create a platform for debate, awareness and action about the urban future of each city. Each wing initially works to produce content, build partnerships and stimulate thinking in their city through online and social media. The wings are also outward-looking, aiming to engage in cross-city collaborations and connecting like-minded organisations and projects. 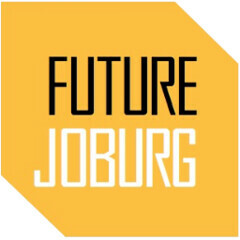 Future Johannesburg will be operated by Shaakira Chohan, Future Lagos by Olamide Udoma andFuture London by Melissa Meyer, each presenting a unique perspective on the cities they live in and engage with. “At once presented as a model of urban resilience and innovation, while struggling with perpetual housing, transport and social challenges, London is one of the world’s most studied and celebrated cities. Within this context, Future London seeks to carve out a new space for discussion, and offer up a platform for engaging with the obstacles and opportunities facing the city through research, debate and action,” says Melissa Meyer, co-ordinator in London. Shaakira Chohan is a Professional Architect, with a Masters degree in Architecture who is inspired and passionate about cities and urban design. Spreading her studies between Johannesburg and Cape Town allowed her to absorb the energies and dynamics from different South African cities and reflect it back into her design and urbanism ethos. Olamide Udoma is the Project Officer for Right to Housing at a Human Rights NGO, Social and Economic Rights Action Center (SERAC) in Lagos. She is currently involved in governance issues within the urban environment of Lagos. She is also currently finishing her thesis as part of MPhil Urban Infrastructure Management and Design, which questions the importance of participation and how it can be used to change governance and power structures that will benefit slum upgrading projects in Lagos. Melissa Meyer is an urbanist-in-training working in London. She is a recent MSc candidate of the City Design & Social Science programme at the London School of Economics. Future Cape Town’s first ever intern, Melissa now hopes to expand the organisation’s ethos and practice to the UK’s capital. Future Cape Town will remain the base of this wider network, leading the strategic approach and co-ordination of the efforts from each wing, while working to foster productive inter-city relationships.